How to catalog new library items, practical advice. Question/Topic: How to catalog new library items (practical advice)? Our Library software comes with two databases: Library, WorkingItems. Library database: this is the main database where you catalog all your library items. This database supports check-in and check-out transactions. WorkingItems: This database has the same structure as Library database. You can enter library new items into this database. Move new records to Library database when all information is entered and items are ready for circulation. Separate database for cataloguing library new items protects your main database from unwanted changes or other possible errors. Do not try to import new library items into Library main database. Select the item on the table of contents (left panel)(1). Select a target database: Library. 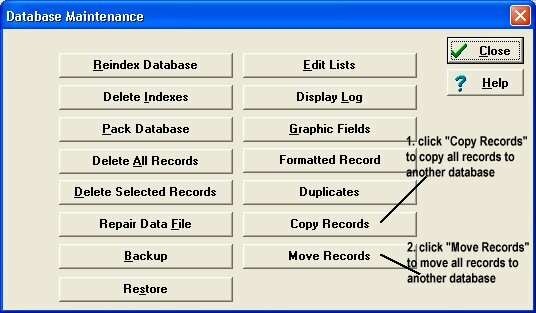 How to backup database files? 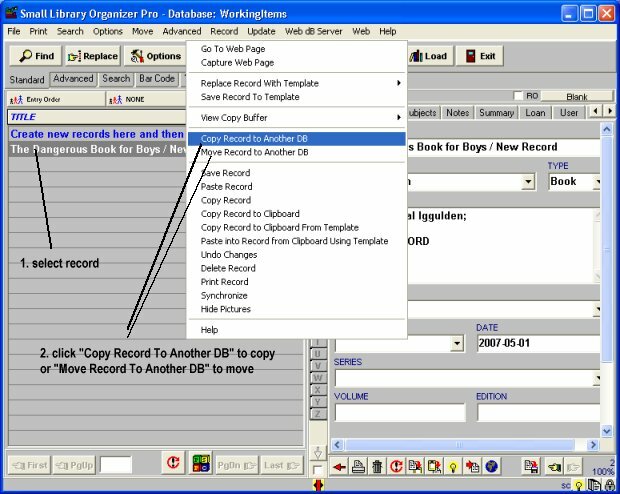 How to copy/move records from one database to another?